Our Reference Series components have a reputation for being the best high-end car entertainment system around. That's because it remains to be the system of choice for competitors on the high-quality sound circuit. The DEX-P99RS gives you the ultimate in pure, natural sound. Featuring an integrated 4-way DSP with auto time alignment and auto equaliser, the system offers unsurpassed quality. Inside, 16-bit digital CD data is directly transferred by 4 x 24-bit D/A converters, with minimum distortion and natural sound expression intact. 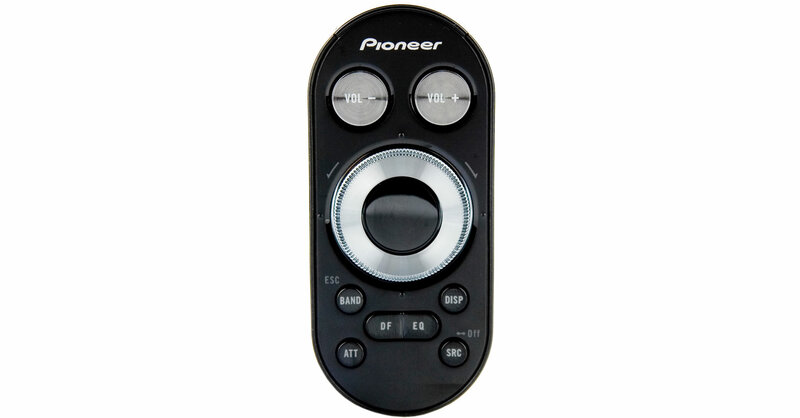 It is the first Pioneer headunit to have such a powerful master clock device to avoid jitter. Ready for your iPod, iPhone and USB memory device, you can enjoy your music collection in prestine quality - wherever it's stored. The Sound Retriever automatically 'upscales' the quality of the compressed audio to closely match the original source. Audiophiles will certainly appreciate the high-quality parts, ultra-precise mechanisms and high-performance construction.